Ultra small low cost aspirating smoke detector for easy and discreet installation. Single sampling pipe up to 50m in length (still air). 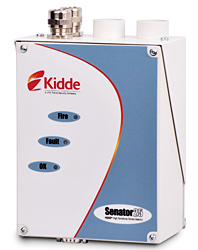 Senator 25 is designed to provide very high sensitivity smoke detection in a small package.